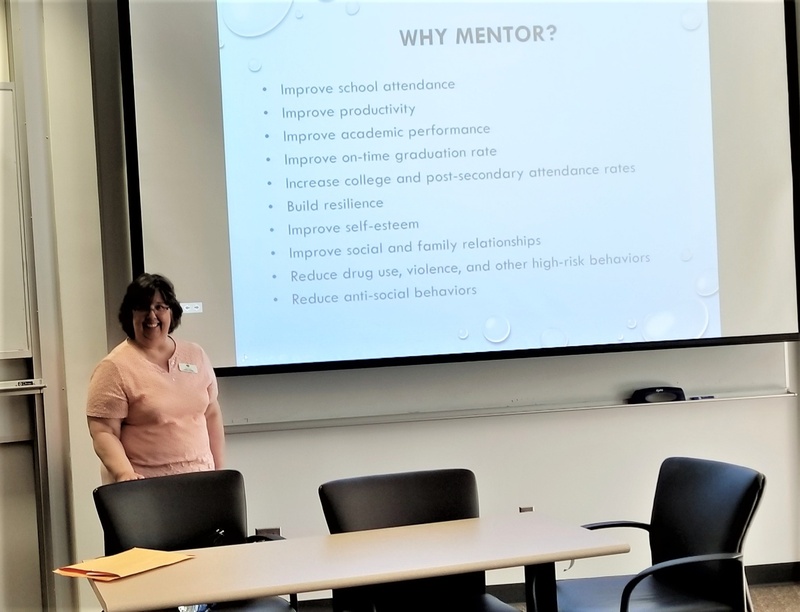 Ms. Kathy Rhodes, Mentor Program Coordinator for the Spalding County Collaborative, spoke on Tuesday, April 16, 2019, to students and guests of Dr. Watts Warren’s SOCI 3820S Communities and Crime class on mentoring opportunities in the Griffin-Spalding area. A service-learning course designed in concert with the UGA Archway Partnership, Dr. Watts Warren’s students examine micro-level processes in local communities that can be generated to combat crime and delinquency. Students spend a portion of their time in class examining theoretical positions and time outside of the classroom engaging in the community. Mentoring programs, such as the one described by Ms. Rhodes, have been shown to not only result in a greater likelihood of children remaining engaged in school and with less delinquency but to also facilitate “collective efficacy” - a critical theoretical position of the course.